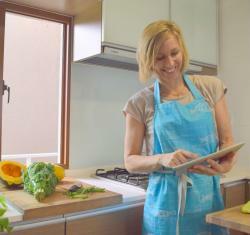 Yourfamily.Kitchen helps parents put healthy and tasty food on the table. Every week, we share fresh new family recipes with you, all created by our team of nutritionists, dietitians and chefs. Our meal ideas have been road-tested on real families – we are all mums and dads – so you can be assured they work. Our recipes are nutritious and bursting with healthy, seasonal ingredients your family will love. Let us know how you get along with this week’s healthy family recipes – we’d love to hear from you. You can keep in touch with us on Facebook and Google+ or simply send your feedback to Contact@Yourfamily.Kitchen. And if you have a moment, tell us a little about yourself and your thoughts on healthy family eating.